Available in 14′, 22′ and 30′ widths. 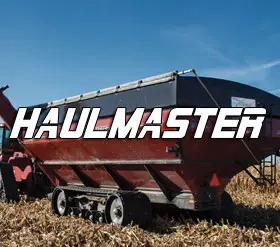 The Crop Master is a great addition to any harvest as the 9 bar pick-up is designed to minimize shatter in crops such as canola and edible beans. In uneven terrain, the torsion flex system follows the ground to pick up all the crop. The Crop Master has adapters available to fit most combine makes and models. Elmer’s 9-bar Pick-Up cleanly lifts the undercut beans. There are always 2 rows of pick-up teeth gliding over the soil gently picking up the crop. 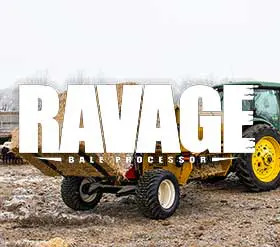 The beans are transferred into a large 26″ auger, enabling you to pull in multiple windrows with ease.